Looking for a deal on Xbox, iPad, an Echo Dot or a 4K TV? Check out our Cyber Monday mega-post for today's top discounts. Cyber Monday is upon us, and if you're hunting for deals, check out the list below, which we'll be updating regularly over the next 24 hours. NEW $100 iTunes Gift Card for $80 at Amazon (use code: APP20). NEW Nintendo Switch + $35 Nintendo eShop Gift Card (Email Delivery) for $299 at Walmart (list price $334). NEW Dell S2716DGR 27" 144Hz 2560x1440 G-Sync Gaming Monitor + $50 Dell Gift Card for $399.99 at Dell (list price $799.99). NEW Alienware Aurora Intel Core i7-8700 6-Core Gaming Desktop with GTX 1070, 16GB RAM, 2TB HDD for $1199.99 at Dell (list price $1659.99). Today Only: Bose QuietComfort 25 Acoustic Noise Cancelling Wired Headphones (As Good as Bose QC35) for $109.99 at Amazon (list price $299.95). 65" TCL 65S517 4K UHD Dolby Vision HDR Roku Smart LED TV for $749.99 at Walmart (list price $1199.99). Today Only: WD Black 1TB High Performance NVMe PCIe M.2 2280 SSD for $189.99 at Amazon (list price $342.51). Today Only: Intel NUC8 NUC8i7HVK VR Machine Mini PC Kit with Radeon RX Vega M for $699.99 at Amazon (list price $910). Today Only: Netgear Orbi RBK23 Whole Home Mesh WiFi System (6000 sq. ft.) for $199.99 at Amazon (list price $299.99). Today Only: Netgear Orbi RBK33 Whole Home Mesh WiFi System (5000 sq. ft.) for $199.99 at Amazon (list price $299.99). Today Only: Samsung Galaxy S9+ 64GB Unlocked Smartphone for $639.99 at Amazon (list price $839.99). Today Only: Samsung Galaxy S9 64GB Unlocked Smartphone + Free Echo Show or Echo Spot and Echo for $519.99 at Amazon (list price $719.99). Today Only: Samsung Galaxy Note 9 128GB Unlocked Smartphone + Free Echo Show or Echo Spot and Echo for $799.99 at Amazon (list price $999.99). Today Only: Hive Heating and Cooling Smart Thermostat Pack (Alexa and Google Support) for $99.99 at Amazon (list price $229.99). Today Only: Segway miniLITE Smart Self Balancing Personal Transporter (Up to 10 mph, 11 mile range) for $199.99 at Amazon (list price $399.99). Today Only: Segway miniPRO Smart Self Balancing Personal Transporter (Up to 10 mph, 12.5 mile range) for $335.99 at Amazon (list price $549.99). Today Only: LEGO Ideas NASA Apollo Saturn V 21309 Building Kit (1969 Pieces) for $78.74 at Amazon (list price $119.99). Today Only: LEGO Technic Porsche 911 GT4 RS (2704 Pieces) for $206.93 at Amazon (list price $299.99). Today Only: Nod by Tuft & Needle 8" Responsive Foam Mattresses: King $370, Queen $295, Twin $205 at Amazon. Up to $80 off Apple Watch Series 3 Models (GPS 38mm $199, GPS + Cellular 38mm $299) at Amazon. Check out more Best Cyber Monday Deals. Check out more Amazon Cyber Monday deals. NEW Today Only: Schalge Connect Century Smart Deadbolt + Amazon Cloud Cam for $188 at Amazon (list price $319.98). NEW ecobee Remote Room Sensor with Stands (2-Pack) for $39.49 at Amazon (list price $79). NEW Today Only: Reolink 4MP 8Ch PoE Video Surveillance System with 4x Wired Outdoor 1440p PoE IP Cameras, 8Ch NVR with 2TB HDD for $321.99 at Amazon (list price $459.99). Today Only: Netgear Arlo Pro 2 1080p HD Wireless Security 2-Camera System for $312.99 (5-Camera for $693) at Amazon (list price $479.99). Today Only: Sengled Smart LED 2700K Soft White Starter Kit (2x A19 Bulbs + Hub) for $24.99 at Amazon (list price $39.99). Ecovacs DEEBOT N79 WiFi Robot Vacuum for $139.99 at Walmart (list price $299.99). Check out more Cyber Monday Smart Home deals. Today Only: Crucial MX500 2TB 3D NAND SATA 2.5" Internal SSD for $208.99at Amazon (list price $329.99). Today Only: Kingston A400 480GB SATA 3 2.5" SSD for $54.99 at Amazon (list price $87.49). Today Only: AMD Ryzen 7 2700X Processor with Wraith Prism LED Cooler for $264.99 at Amazon (list price $329). Today Only: Linksys Velop AC2200 Tri-Band Whole Home WiFi Intelligent Mesh System (2000 sq. ft.) for $119.99 at Amazon (list price $199.97). Check out more Cyber Monday Networking, Cyber Monday Storage and Cyber Monday Components Deals. NEW Today Only: 24" Insignia NS-24DF310NA19 720p HD Fire TV Edition Smart LED HDTV for $99.99 at Amazon (list price $150). 32" Toshiba 32LF221U19 720p HD Fire TV Edition Smart LED TV for $129.99at Amazon (list price $180). Today Only: Anker Nebula Capsule 100 ANSI lm Smart Mini Projector with 360 Degree Speaker (Up to 100" projection) for $235.99 at Amazon (list price $349.99). Today Only: Anker Nebula Prizm II 1080p Video LCD Projector for $199.99 at Amazon (list price $299.99). Check out more Cyber Monday TV deals. NEW Today Only: DropMix Music Gaming System for $29.99 at Amazon (list price $99.99). Assassin's Creed Odyssey (PS4, Xbox One) for $27 at Amazon (list price $59.99). Red Dead Redemption 2 (PS4) + $10 Google Play eGift Card for $59.89 at Walmart (list price $69.99). Playstation VR Headset Bundle + Creed: Rise to Glory Game Bundle for $249.99 at Dell (list price $349.99). OFM Essentials PC Gaming eSports BattleStation Desk + Racing Gaming Chair for $139 at Walmart (list price $199). Check out more Cyber Monday Gaming deals. Up to $80 off Apple Watch Series 3 Models (GPS + Cellular 38mm $299, GPS + Cellular 42mm $329) at Amazon. Today Only: Vantrue N2 Pro 1440p HDR DVR Dual Dash Cam with Front and Cabin Recording for $125.99 at Amazon (list price $199.99). Canon imageCLASS MF733Cdw Wireless Color All-in-One Laser Printer for $249 at Amazon (list price $339.99). Marvel Legends Infinity Gauntlet Articulated Electronic Fist for $59.99 at Walmart (list price $99). Check out more Cyber Monday Electronics and Tech deals. Today Only: ViewSonic VP3881 38" 3840x1600 Ultrawide Curved IPS Monitor for $749.99 at Amazon (list price $1116.54). LG 34UC79G-B 34" 2560x1080 144Hz UltraWide Curved IPS Gaming Monitor with AMD FreeSync for $369.99 at Amazon (list price $499). Today Only: ViewSonic VA2446MH-LED 24" 1920x1080 LED Monitor for $89.99 at Amazon (list price $122.79). Today Only: Acer R240HY 23.8" 1920x1080 HDMI IPS LED Monitor for $99 at Amazon (list price $179.99). Check out more Cyber Monday Monitor deals. NEW Alienware 15 Intel Core i7-8750H 6-Core 15.6" 1920x1080 Gaming Laptop with GTX 1070 OC, 16GB RAM, 256GB SSD + 1TB HDD for $1499.99at Dell (list price $1949.99). NEW Alienware 17 Intel Core i7-8750H 6-Core 17.3" 1920x1080 Gaming Laptop with GTX 1070 OC, 16GB RAM, 256GB M.2 SSD + 1TB HDD for $1599.99 at Dell (list price $1999.99). NEW Dell Vostro 14 5000 Intel Core i5-8250U Quad-core 14" 1920x1080 Win10 Pro Laptop with 256GB SSD for $559 at Dell (list price $1127.14). NEW Dell Inspiron Small 3000 Intel Core i3-8100 Quad-core SFF Desktop for $249.99 at Dell (list price $499.99). NEW Dell Inspiron 15 7000 Intel Core i5-8250U 15.6" 1920x1080 IPS Win10 Pro Laptop with 256GB SSD, MX150 GPU for $699.99 at Dell (list price $899.99). NEW Dell Inspiron 15 7000 Intel Core i7-8550U 15.6" 1920x1080 IPS Win10 Pro Laptop with 128GB SSD + 1TB HDD, MX150 GPU for $799.99 at Dell (list price $1069.99). NEW Today Only: Acer Chromebook Spin 13 Intel Core i5-8250U 13.5" 2256x1504 Touchscreen Convertible Laptop for $699.99 at Amazon (list price $899.99). NEW Today Only: Acer Spin 5 Intel Core i7-8550U 13.3" 1920x1080 Touch Laptop for $679.99 at Amazon (list price $899.99). NEW Today Only: Acer Aspire E 15 Intel Core i3-8130U 15.6" 1920x1080 Laptop for $324.99 at Amazon (list price $379.99). CLX SET Intel Core i7-8700K 6-Core Gaming Desktop with RTX 2070, 16GB RAM, 240GB SSD + 1TB HDD, Battlefield V for $1399.99 at Walmart. CyberpowerPC Gamer Supreme SLC9108W AMD Ryzen 7 2700X Liquid Cooled PC with 8GB AMD Radeon RX 590, 16GB RAM, 240GB SSD + 2TB HDD, Gaming Bundle for $999.99 at Walmart (list price $1589.99). Dell G3 Intel Core i7-8750H 6-Core 15.6" 1920x1080 Gaming Laptop with GTX 1050 Ti, 128GB SSD + 1TB HDD, Gaming Bundle for $699 at Walmart (list price $1099.99). Dell Inspiron 15 5000 Intel Core i7-7500U 15.6" 1920x1080 Laptop with 16GB Optane Memory for $479 at Walmart (list price $599.99). Dell Inspiron 15 5000 Intel Core i7-8550U Quad-Core 15.6" 1920x1080 2-in-1 Touch Laptop for $599 at Walmart (list price $649). Samsung Galaxy Tab A 32GB Octa-core 10.5" 1920x1200 WiFi Tablet for $279.99 at Amazon (list price $329.99). Check out more Cyber Monday Laptops and Cyber Monday Desktop PC deals. Check out more Cyber Monday Smartphone deals. NEW Sennheiser GAME ONE Open Acoustic Wired Over-Ear Gaming Headset for $109 at Amazon (list price $249.95). NEW Today Only: Marshall Kilburn Bluetooth Wireless Portable Speaker for $149.99 at Amazon (list price $299.99). Today Only: nuraphone Active Noise Cancelling Wireless Bluetooth Over-Ear Headphones with Earbuds for $279 at Amazon (list price $399.99). Today Only: HyperX Cloud Flight Wireless Gaming Headset for $99.99 at Amazon (list price $159.99). Beats Powerbeats3 Wireless Bluetooth Earphones for $99 at Walmart (list price $199.95). Check out more Cyber Monday Headphones and Cyber Monday Audio Deals. NEW Today Only: Rosetta Stone Learn Latin American Spanish Bonus Pack (2 Year Subscription + Lifetime Download + Book Set) with $20 Amazon Gift Card for $139 at Amazon (list price $189). NEW Today Only: Keurig K-Cafe Single Serve Coffee Maker with Espresso Roast K-Cup Pod Variety Pack (24-Count) for $114.99 at Amazon (list price $234.14). NEW Today Only: De'Longhi Nespresso Inissia Espresso Maker with Aeroccino Milk Frother for $59.99 at Amazon (list price $123.09). NEW Today Only: Oral-B Genius Pro 8000 Electronic Rechargeable Toothbrush for $94.94 at Amazon (list price $274.98). 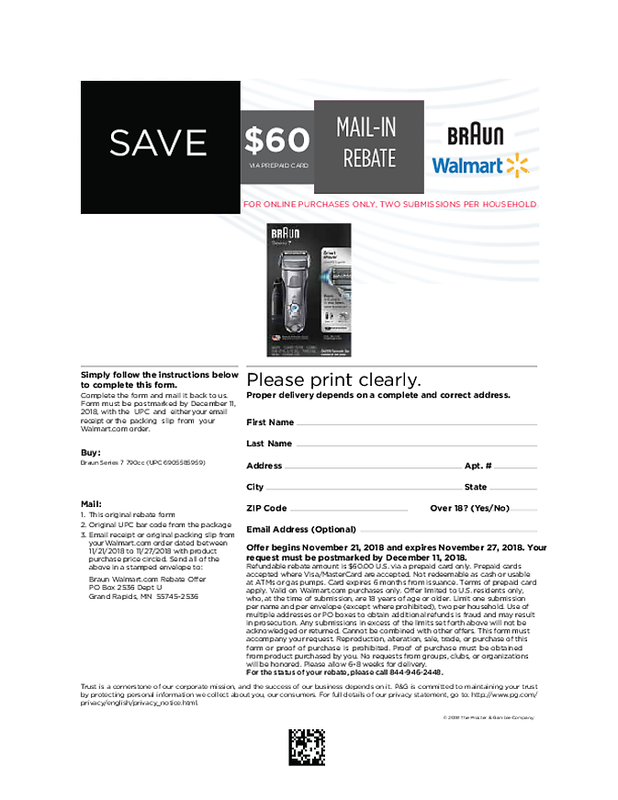 NEW Today Only: Waterpik ADA Accepted WP-662 Aquarius Water Flosser with 7 Tips for $39.95 at Amazon (list price $79.99). NEW Today Only: Nutri Ninja BL580 1100W Blender with FreshVac Technology for $59.95 at Amazon (list price $129.99). NEW Today Only: Cubii Pro Bluetooth Under Desk Elliptical for $249 at Amazon (list price $349). NEW Today Only: Gravity 48"x72" 20lb Weighted Blanket for Sleep, Stress and Anxiety for $174.29 at Amazon (list price $249). NEW Today Only: True Luxury 1000-Thread Count 100% Egyptian Cotton Bed Sheets (Queen) for $68.99 at Amazon (list price $114.99). NEW Today Only: Bosch 12V Max Brushless 3/8" Drill/Driver Kit with 2x Li-ion Batteries and Charger for $83.98 at Amazon (list price $140.56). NEW Today Only: NOCO Genius Boost HD GB70 2000-Amp 12V UltraSafe Lithium Jump Starter for $139.69 at Amazon (list price $250.95). NEW Today Only: NordicTrack T 6.5 S Treadmill for $449.99 at Amazon (list price $599). Today Only: Dyson TP02 Pure Cool Link WiFi Air Purfier for $268.99 at Amazon (list price $499.99). Today Only: AncestryDNA Genetic DNA Ancestry Test Kit for $49 at Amazon (list price $99). Instant Pot Gem 6-Qt 8-in-1 Programmable Pressure Cooker for $55 at Walmart (list price $79). Today Only: DASH Digital Compact 1.6L Electric Air Fryer for $49.99 at Amazon (list price $69.99). Dyson DC33 Multifloor Bagless Upright Vacuum for $179 at Walmart (list price $279). KitchenAid Classic Series 4.5-Qt Tilt-Head Stand Mixer + $10 Walmart eGift Card for $189 at Walmart (list price $229). Alloyseed Electric Motorized Height Adjustable Standing Desk for $184.39 at Amazon (Clip $20 Coupon and use code: 5X97HYVE - list price $299.99). Check out more Cyber Monday Home deals. For more great Cyber Monday deals, head to TechBargains.